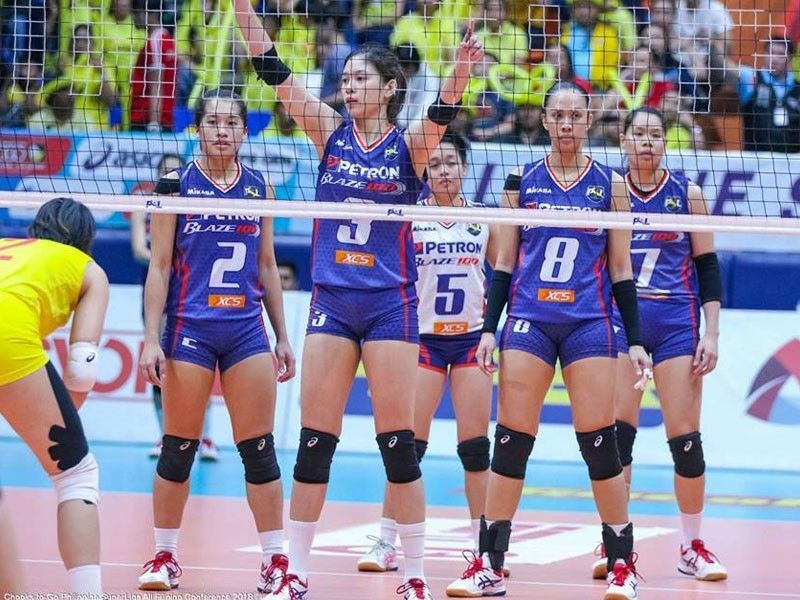 MANILA, Philippines – It may have the strongest team on paper, but reigning champion Petron will be very cautious heading into the Philippine Superliga Grand Prix that kicks off next week at the Ynares Sports Center in Pasig City. Blaze Spikers’ coach Shaq Delos Santos said it’s going to be a wide-open race as all teams have beefed up their respective rosters in a bid to dethrone them in this prestigious import-flavored conference. “I tell the team that this is an entirely new battle,” said Delos Santos, who will be bringing back prolific imports Stephanie Niemer and Katherine Bell together with the seasoned core of Mika Reyes, Aiza Maizo-Pontillas, Frances Molina, Rhea Dimaculangan and a new recruit in prized libero Denden Lazaro. Also tipped to make Petron’s championship journey difficult are Sta. Lucia, Foton and PLDT Fibr. “Everybody is a contender,” said Delos Santos during the league’s Fans Day at the Sta. Lucia Grand East Mall Sunday afternoon.